Andi Mack is back for Season 3 – which means we’re all dying to see where Andi’s relationship with Jonah Beck goes. It’s been quite a wild ride for the fan-fave television couple, and it’s safe to say their love lives are quite a roller coaster ride. 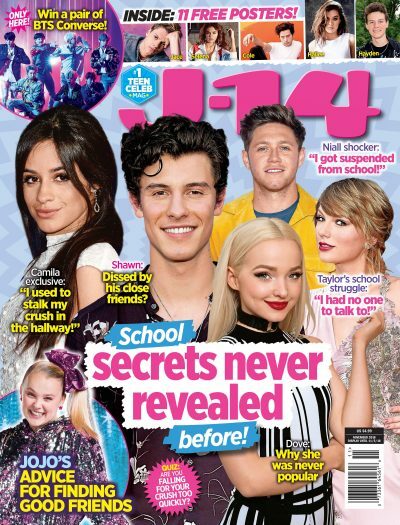 J-14 caught up with Peyton Elizabeth Lee and Asher Angel themselves, and they spilled all about the evolution of Andi and Jonah. They even dished about what we can expect from Season 3, considering Season 2 ended with Jonah leaving for summer camp – leaving fans to wonder if their relationship would last. Asher, in particular, thinks Andi has really matured throughout the seasons – as far as her love life goes. The star went on to say that with all Andi’s got going on in her life, he doesn’t even know how she has time for boys! As for Peyton, she feels that Jonah going away to summer camp at the end of Season 2 really put their relationship to the test. We’re so excited to see what’s in store! Exclusive Are Asher Angel and Peyton Elizabeth Lee Dating In Real Life?